With planetary mixing action for thorough mixing and Patisserie Quality results, the Scraper Mixer double Scraper Beater scrapes the bowl 1300 times* per minute so you dont have to. 100% metal gearing for durability and long life High clarity 4.7L glass bowl to keep an eye on the mix in borosilicate grade material so that it is resistant to thermal shock and microwave safe. The high torque 900watt high torque motor with 6 speed electronic control includes internal sensors to automatically adjust the power to maintain the selected speed. 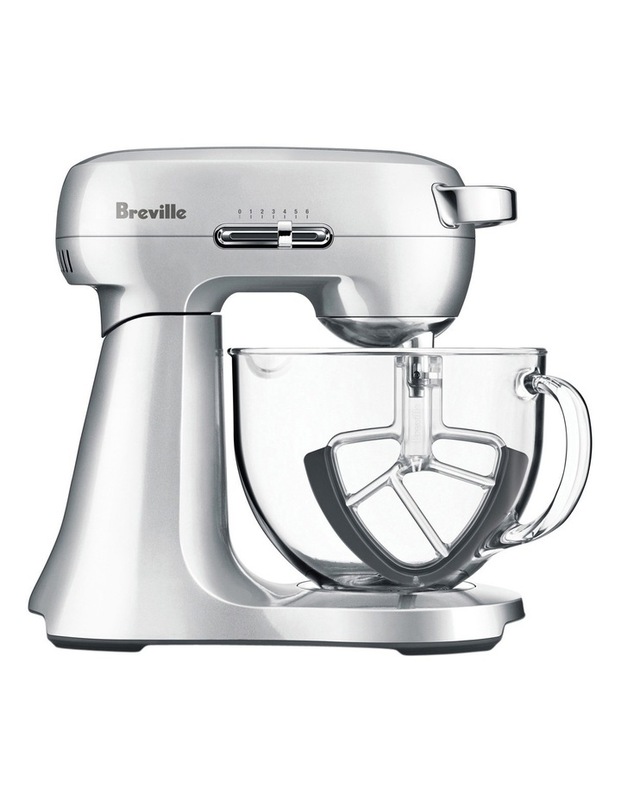 *Test conducted at the Breville Test Lab using speed 5.